Taylor Swift donates $15,000 to family in need! …that she donated $15,000 to a very special family! Sorry guys that I didn’t post yesterday, but I’ve got a bad sinus infection and laying down for a nap might just turn into a full night’s sleep…which it did! HAHA It wasn’t my intention. I’ve just been so sick. But I’m not giving up…you know that! So anywho, Taylor Swift is on her 1989 World Tour at the moment, but that doesn’t mean that she hasn’t got the time to take care of her fans in need! That’s when she got word of the Van Riper family! Aaron Van Riper is a volunteer firefighter in Texas and when he responded to a 911 call involving a car crash he discovered that the call was leading him to his family! His wife Amber and his son were at the scene! 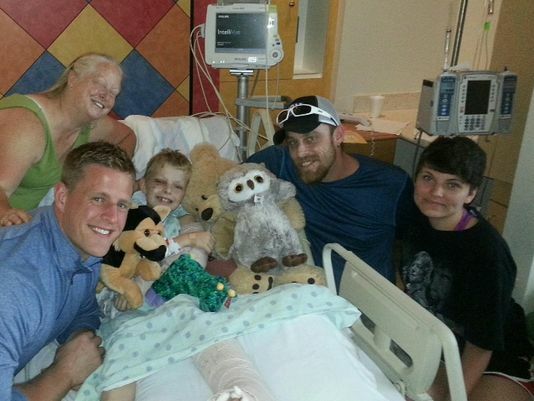 The heartwrenching incident gained national attention and a friend of the family set up a GoFundMe account to help pay for the family’s medical bills that began piling up! It’s like a Kickstarter for everyone! If you’d like to donate to the Van Riper family, here is a link to where you can: [gofundme.com/wfzscs]. Taylor never ceases to amaze me with the amount of attention she pays to her fans! She’s so sweet and so generous! A great girl, in my book! 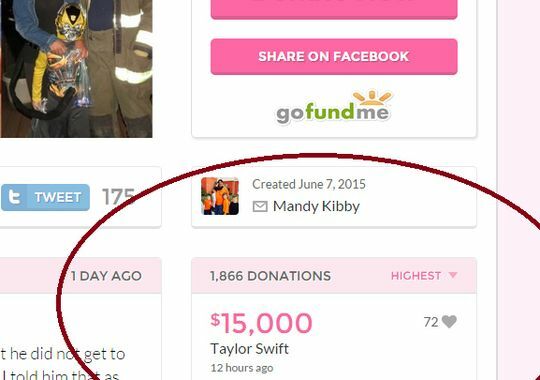 Thank you Taylor for giving so generously to your fans in need! Gibson gives $100,000 to Belmont University!